VenturePad is Marin's largest, most accessible coworking space, meeting center and business incubator in a professional space. We offer local entrepreneurs and large employers shared office space, private offices, meeting rooms and event space. VenturePad is committed to building a supportive and sustainable community with a positive social impact. MCE's mission is to address climate change by reducing energy related greenhouse gas emissions through renewable energy supply and energy efficiency at stable and competitive rates for customers while providing local economic and workforce benefits. Marin belongs to and has representation on several regional or multi-county special districts including the Bay Area Air Quality Management District, the Golden Gate Bridge Highway & Transportation District, the California Regional Water Quality Control District (SF Bay Region), the SF Bay Conservation & Development Commission, the Metropolitan Transportation Commission, and the Association of Bay Area Governments. Marin residents are encouraged to attend meetings and consider volunteering to serve on a citizen's board, committee or commission. Beneficial State Bank grew from the vision of Tom Steyer and Kat Taylor and the team they formed to create a triple bottom-line bank and a supportive nonprofit foundation. Fashioned in the image of the great socially responsible banks and credit unions, we are mandated to produce meaningful social justice and environmental benefits that are also financially sustainable. Our mission is to create extraordinary learning experiences for our students and to advance best business practices in the North Bay and beyond. Our vision in the coming years is to join other forward-thinkers across all industries in disrupting Business As Usual. We'll accomplish our vision of becoming the educational nucleus for a collaborative, thriving North Bay economy by reaching out to stakeholders like you and building partnerships. The City of Novato respects the environment and plans for a sustainable future. Being "green" or sustainable not only benefits the environment, but also the community's health and economy. One of the City Council's priorities is to ensure that the City is doing everything it can to reduce its impact on the environment and improve Novatans quality of life. The Marin Municipal Water District provides high-quality drinking water to 190,300 customers in central and southern Marin County. Seventy-five percent of our water comes from more than 21,600 acres of protected watershed on Mt. Tamalpais and in the grassy hills of west Marin. Rainfall from these watersheds flows into one of MMWD’s seven reservoirs.Our mission is to manage our natural resources in a sustainable manner and to provide our customers with reliable, high quality water at a reasonable price. We call the experience "Enjoy Private Sky" because we know you're going to love the level of privacy, personal attention, lack of stress, and sheer fun that comes with flying with us. Transportation Authority of Marin (TAM) coordinates the diverse mix of projects and programs that are necessary for improving overall mobility, including roads, highways, sidewalks, Safe Routes to School, bicycle lanes, transit and alternative commute options. TAM improves the quality of life for Marin County residents and develops and maintains the economic viability of our local region by funding transportation projects and programs that improve mobility, reduce congestion, and provide a transportation system. The City of San Rafael’s mission is to enhance the quality of life and provide for a safe, healthy, prosperous and livable environment in partnership with the community. It was the first-ever recipient of the statewide Beacon Award for Sustainability and has a robust climate action program. Click to learn more. MSS has grown philosophically with our customers, and we believe in recycling to preserve our natural resources. We're on our way to achieving zero waste. Our 3 divisions work together to provide comprehensive collection, recycling and education services. 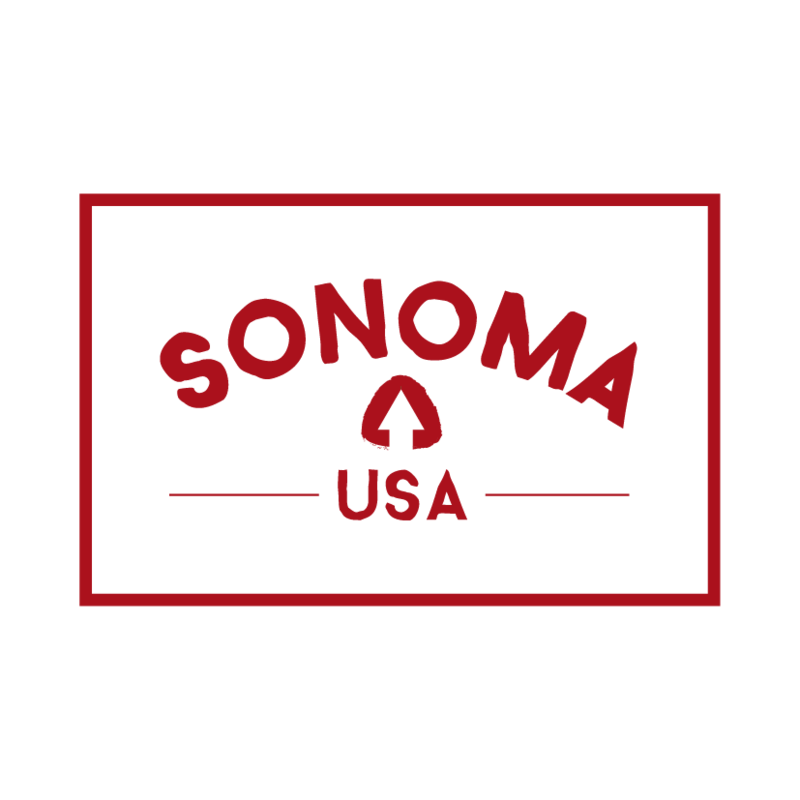 We founded Sonoma-USA with the goal to create a brand that reflects who we are, what we believe in and tells the world where all of our products are made: right here in our Santa Rosa factory in the heart of sunny Sonoma County. Sonoma-USA is owned by TekTailor Inc., a Benefit Corporation and soon to be certified B-Corp, with the goal to bring more sustainable textile and apparel manufacturing to the United States. Sustainable Marin is a non-profit organization of volunteers who advocate and educate on sustainability at the County level, aiming at tangible, measurable results, and interacting constructively with County, cities and agencies. It is also the parent to Sustainable San Rafael and Sustainable Novato. Sustainable San Rafael is an all-volunteer group of folks dedicated to advocacy and education to help bring about a healthy and aware society. We are organized around the idea that we can-and must-do more to fight climate change and encourage sustainable living. Sustainable Novato is an all-volunteer community non-profit that works to enable end encourage more sustainable living in our city. Become a member of the Chamber’s vibrant community of business collaborators. Together, we’ll help you grow, thrive and profit. ONE TAM seeks to raise awareness about the need to maintain the long-term health of Mt. Tam, engage more volunteers in caring for its treasured resources, and renew the spirit of philanthropy that has been so fundamental to the preservation of Mt. Tam over the past century. Environmental Forum of Marin is dedicated to the protection and enhancement of the environment by educating its Members and Bay Area residents about environmental issues. Our goal is to conduct programs on environmental issues and provide continuing education for its Members and the public. Strategic Energy Innovations (SEI) is a non-profit that develops and delivers solutions customized to help communities accomplish their sustainability goals. As we support our clients to reduce their consumption of natural resources, we also help them save money. SEI’s creative team of problem solvers encourages communities to adopt clean and efficient energy technologies and practices, while we facilitate valuable training people need to find work in the green economy. For more than 30 years, SolarCraft has been providing quality solar energy design and installation services to residential and commercial businesses across Marin, Sonoma, Napa and beyond. Conservation Corps North Bay is the oldest local youth conservation corps in the country. Serving Marin and Sonoma Counties since 1982, CCNB has helped more than 12,000 young men and women break the cycle of poverty through education and job skills, while serving the environment and community. Dominican educates and prepares students to be ethical leaders and socially responsible global citizens who incorporate the Dominican values of study, reflection, community and service into their lives. The University is committed to diversity, sustainability and the integration of the liberal arts, the sciences and professional programs. Fix the planet by 2050 while you thrive. Fix the planet means bring down CO2 to pre-industrial levels, take all plastics out of the oceans, and more. You’ll be thriving all the while, increasing your savings, being in a great mood, and enjoying long-term health. Own It Economics. Essential Oils and creative collaboration are how our story begins, and how our company is defined. At the core of our company culture is our dedication to the collective work of like minded people working towards a common goal: beautiful, healthy body care. WinterBadger Media visually and emotionally connects people to Nature's beauty and diversity. We inspire hope and meaningful action to protect the remaining natural world and its many species,and reduce climate change’s impact on humanity and Nature. The UNA-Marin promotes the work of the United Nations, including international peace efforts, human rights, and the Sustainable Development Goals (SDGs) of 2030. Felicia Chavez, PhD, MBA is Director of Systems Thinking Marin and President of UNA-Marin. Felicia is promoting a systems thinking approach to local adoption of the SDGs. ExtraFood.org operates a county-wide food recovery program in Marin. The results after 5 years: 2.3 million pounds of food rescued from 200+ businesses and schools and delivered to 115 safety net partners across Marin, preventing 190,000 pounds of methane from warming our planet and reaching 8,000+ people every month. CTE’s mission is to engage the public in climate change by motivating them to take measurable actions to reduce their carbon footprint. A grassroots organization, CTE believes personal action is essential to reducing carbon emissions. CTE’s focus is on educating and inspiring Marin residents and employees to drive electric. EVs are about 40- 50% of a driver’s personal footprint and switching to an EV can practically erase the emissions. CTE was founded in 2007 by Marin County parents Carleen and Jeff Cullen, who were inspired to take action after seeing the documentary "An Inconvenient Truth." CTE’s program has had far reaching results, reaching over 250,000 families in 40 states and catalyzing 300,000 carbon saving actions. MCL's mission is to preserve, protect, and enhance the natural assets of Marin County for the public. MCL ensures that Marin’s natural assets and resources are protected through prudent action, including acquisition, advocacy, and conservation. By serving as the countywide authority on environmental policy, MCL studies and analyzes issues, proposes policies, educates and mobilizes citizens and monitors outcomes. Issues are tracked by MCL's Issues Committees, which make recommendations to the Board of Directors. Debra Recommends shares top cutting edge events, online courses, and inspirational information and has 22,000 subscribers. HarmonyConnects.com shares top cutting edge events, online courses, and inspirational information and has 37,000 subscribers. Common Ground magazine since 1974 has helped pioneer the Lifestyles of Health and Sustainability (LOHAS) and prides itself on reaching a sophisticated and strategic audience of Bay Area thought leaders. Our goal is to cover this unique community—to inform, and be informed by, our readers in a thoughtful, provocative, literate, witty and honest manner. The Pacific Sun publishes every Wednesday, delivering 22,000 copies to more than 560 locations throughout Marin County. Our mission is to help sustain family farms in Marin and Sonoma Counties by providing high quality, minimally processed organic dairy products; to support family farming and revitalize rural communities everywhere through advocacy and education. We are working to make organic, fair-trade yerba mate the mainstream energy source of choice, and prove that a company can be profitable while operating sustainably. Lotus Cuisine of India in San Rafael is now a certified green business serving the finest organic Indian Food. LOTUS GOES GREEN, with our state-of-the-art energy-efficient kitchen and our environmentally friendly appliances, we serve our award-winning Indian Cuisine. Good Earth has been dedicated to the health & sustainability of our community since 1969. We believe that organic foods offer us the best opportunity to heal our bodies and the earth, we “Go Organic” with over 95% of our groceries organic and 99% of our extensive prepared foods, bakery and cafe organic as well. Our mission is to unleash the quality of coffees from our farm to your cup and to reveal the potential of the people working with coffee throughout the whole coffee chain: farming, roasting and brewing. We embrace the whole chain – farming, roasting, packaging and brewing – to ensure value and knowledge are distributed righteously. We’ve always taken a holistic approach to our business by considering the impact of our decisions— not just the bottom line— on our employees, suppliers, community, farmers, and the environment. B Corporation certification is a third party certification for companies like us that want to use the power of business to solve social and environmental problems. Plastic pollution is causing environmental harm worldwide. With roughly ten tons of plastic ending up in our oceans every minute around the clock, it is well past time for our reliance on cheap, disposable plastics to make way for common sense. The Wisdom Supply Co. mission is to disrupt what we call the shelf-to-shore pipeline, and replace it with systems that prevent plastic and vinyl from entering the global waste stream.